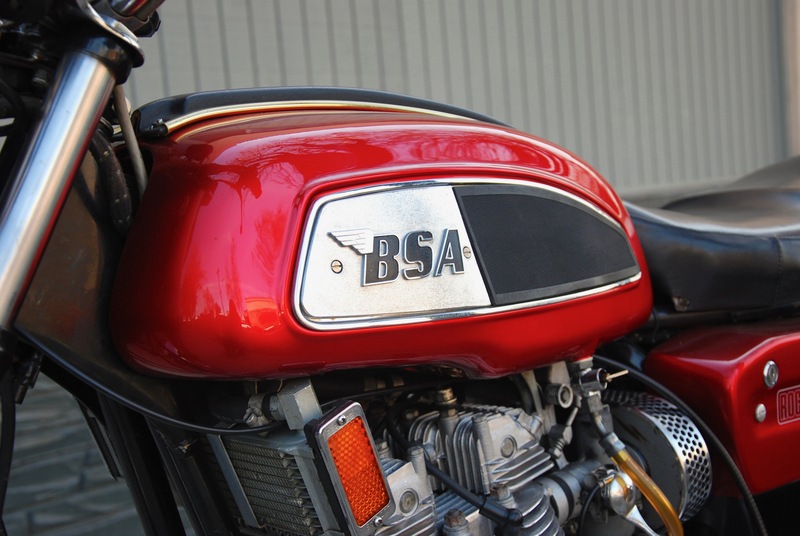 BSA’s long awaited 750cc ‘triple’, unveiled in 1968, reached the market some two years later than originally planned, a delay that proved commercially disastrous for the long established British manufacturer. 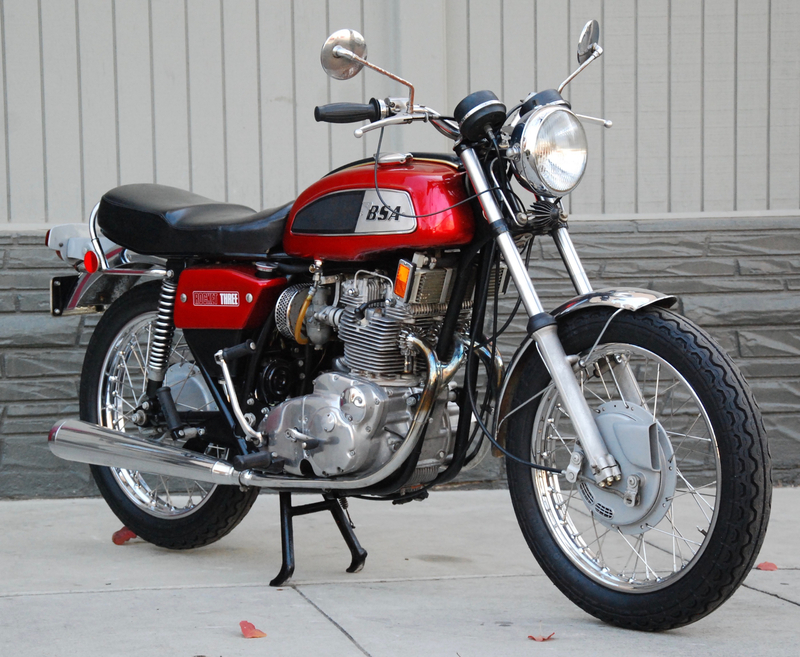 Honda’s all-conquering 750 ‘four’ arrived in 1969 and, as they say, the rest is history! 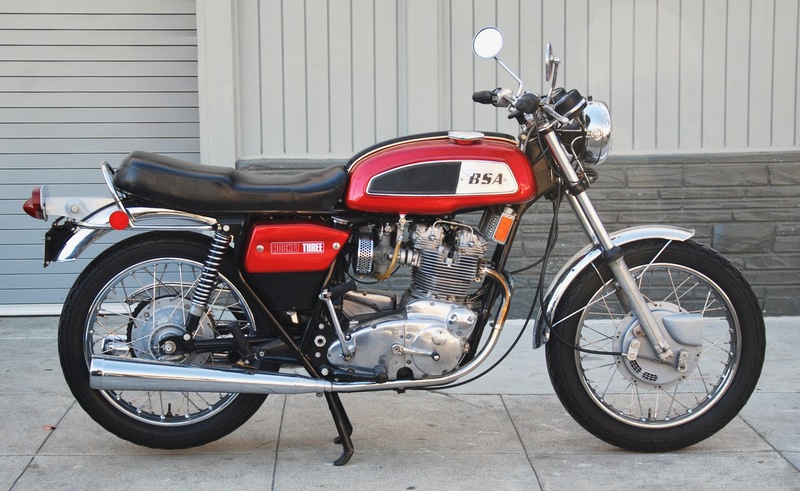 Leaving these issues aside, however, the Rocket 3 was not without potential, whether for sports touring or on the competition front. 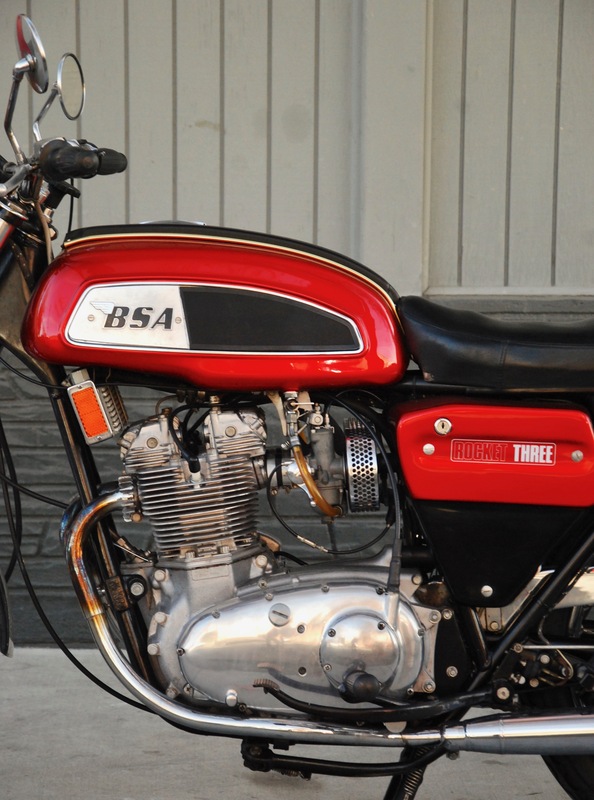 Cosmetically different to its Triumph T150 sibling, the Beeza is arguably more attractive due to the forward-sloping engine. 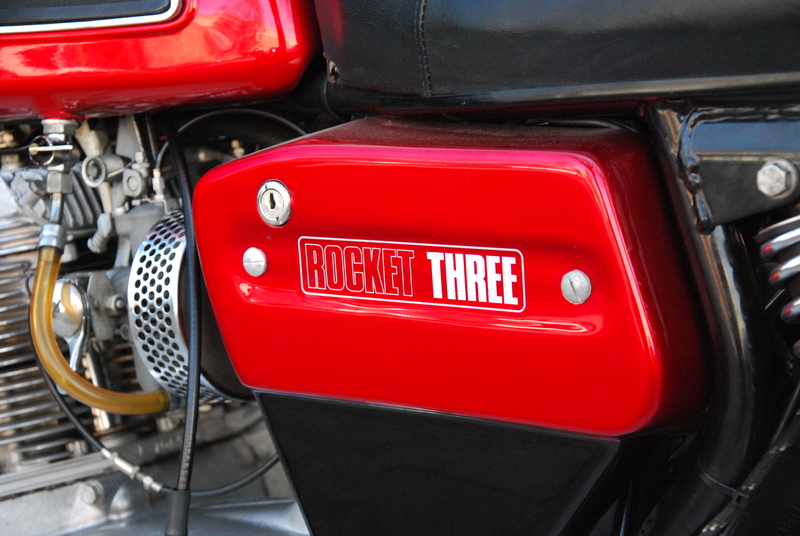 Although regarded in its initial incarnation as rather ‘slabby’ – possibly because the styling was entrusted to an auto studio – the Rocket 3 underwent a major re-style two years later, emerging as a universally handsome motorcycle. 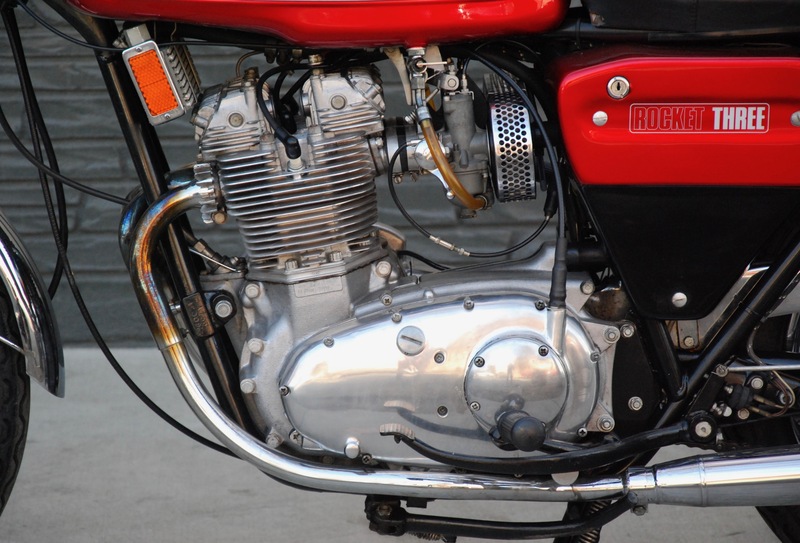 Today, ironically, enthusiasts have started to appreciate its unusual lines. 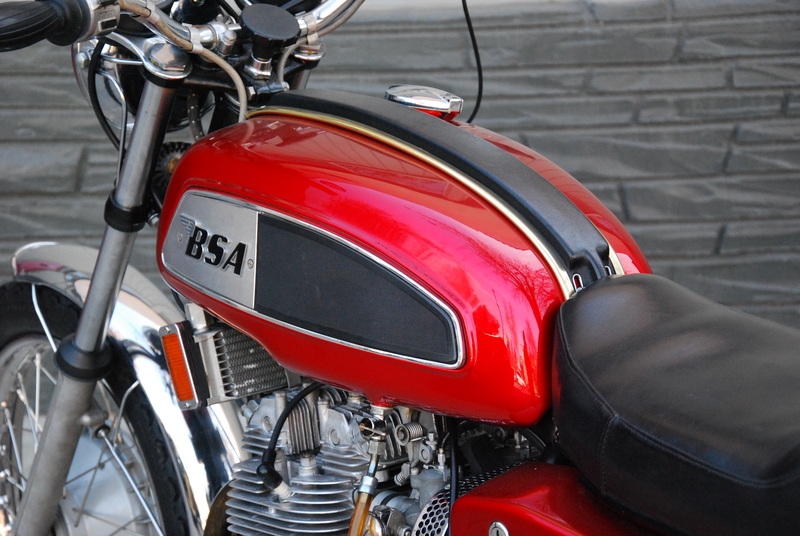 Together with that inherently smooth engine and a readily available supply of parts, BSA’s final production model is an attractive prospect for discerning enthusiasts of British ‘iron’. 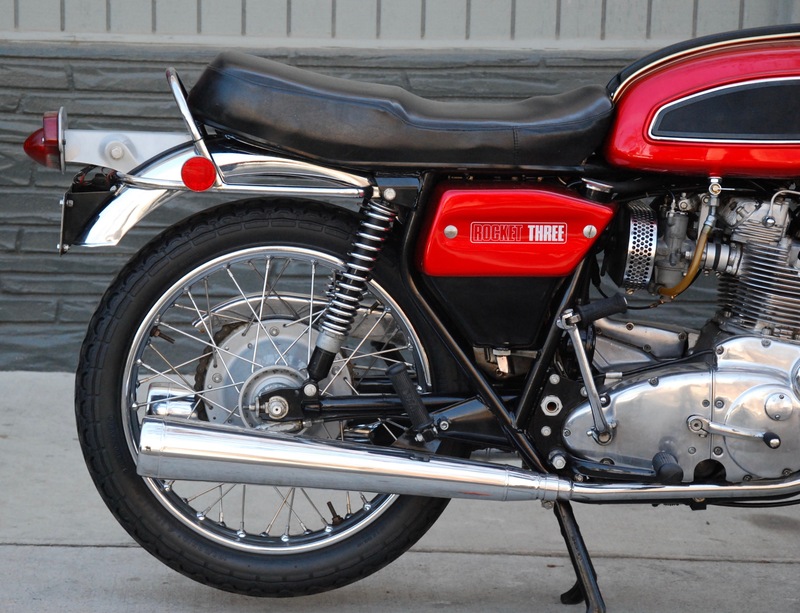 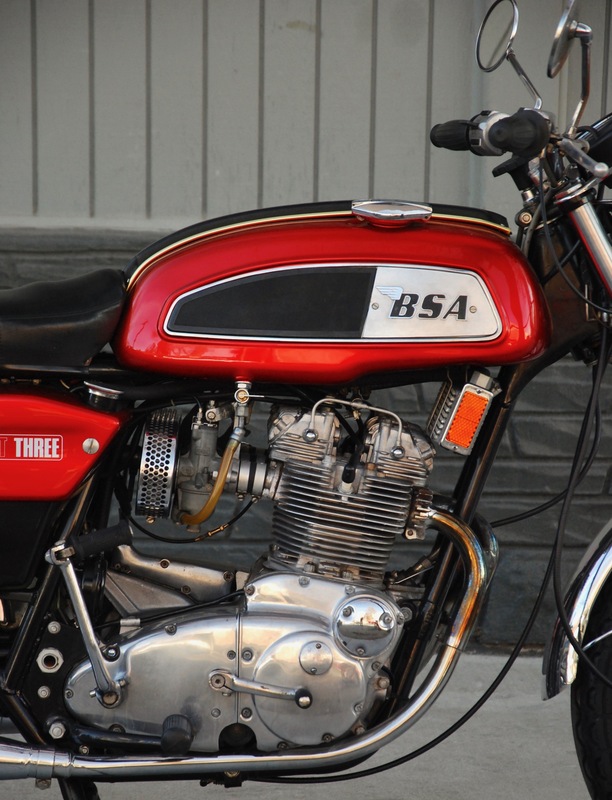 Essentially a ‘Tiger-and-a-half’, the differences between the Triumph Trident and BSA Rocket III were more than just cosmetic: the two models used different frames and in BSA guise the motor’s cylinder block was slightly inclined. 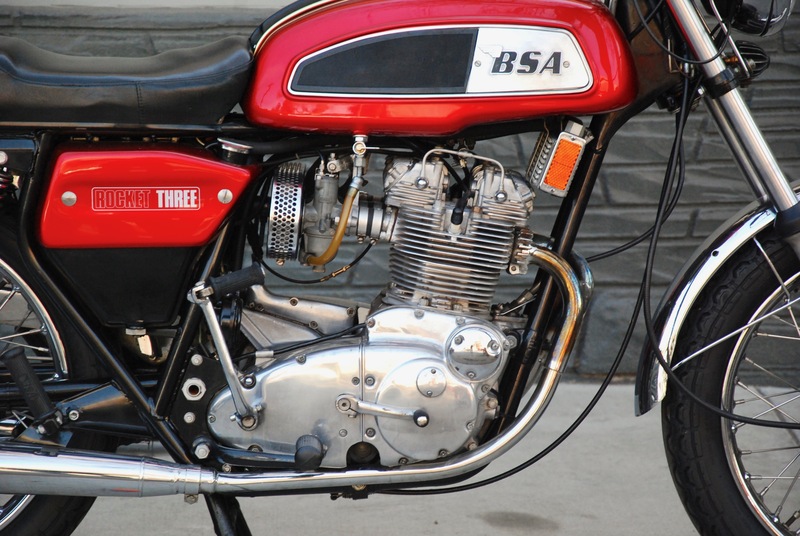 BSA-Triumph had learned a lot about engine development from racing the 500 twins, and the Triples were the most powerful machines in their class. 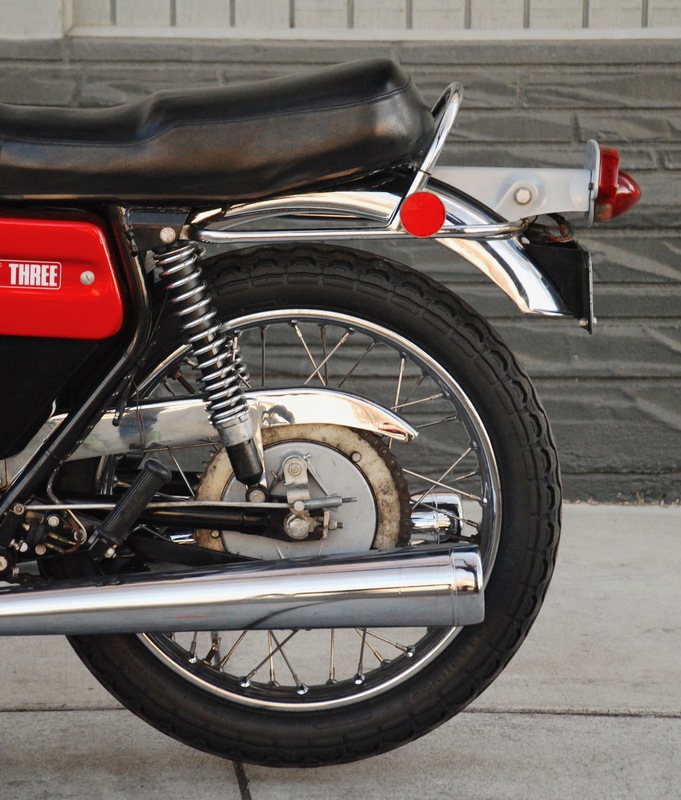 Today these charismatic machines enjoy an enthusiastic following worldwide and are supported by numerous recognised specialists and a first-rate owners’ club – the TR3OC – whose annual ‘Beezumph Rally’ is highly recommended. 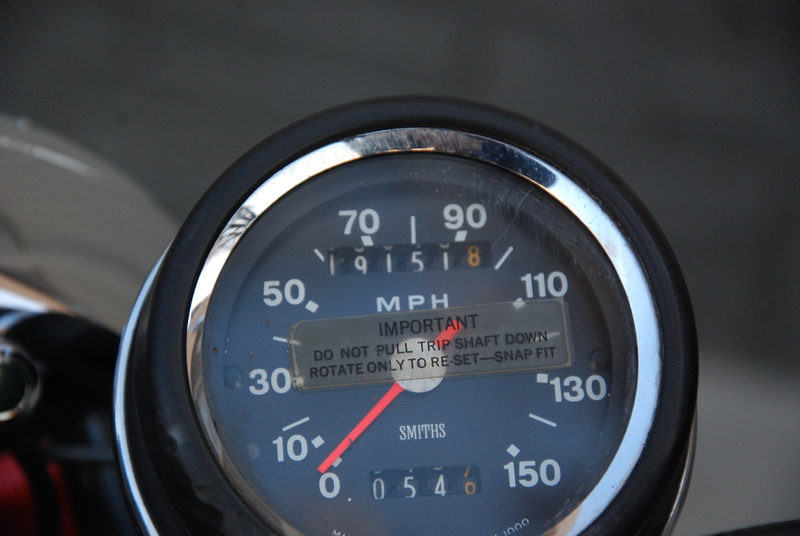 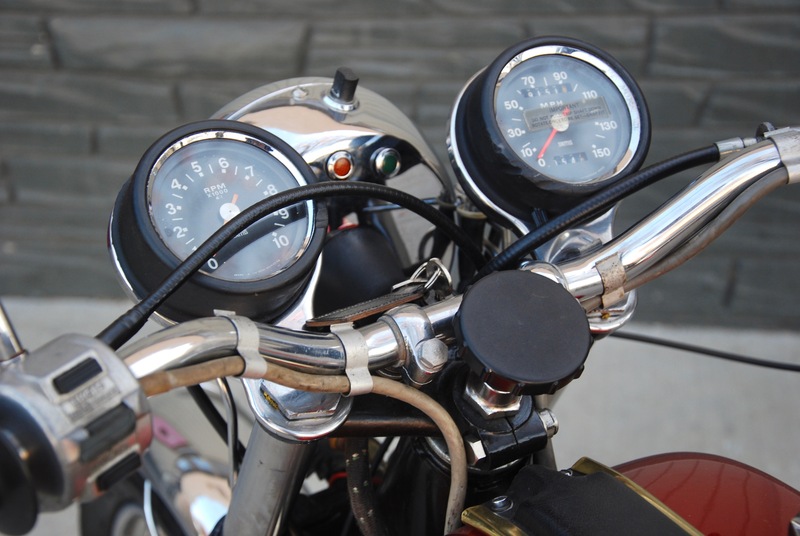 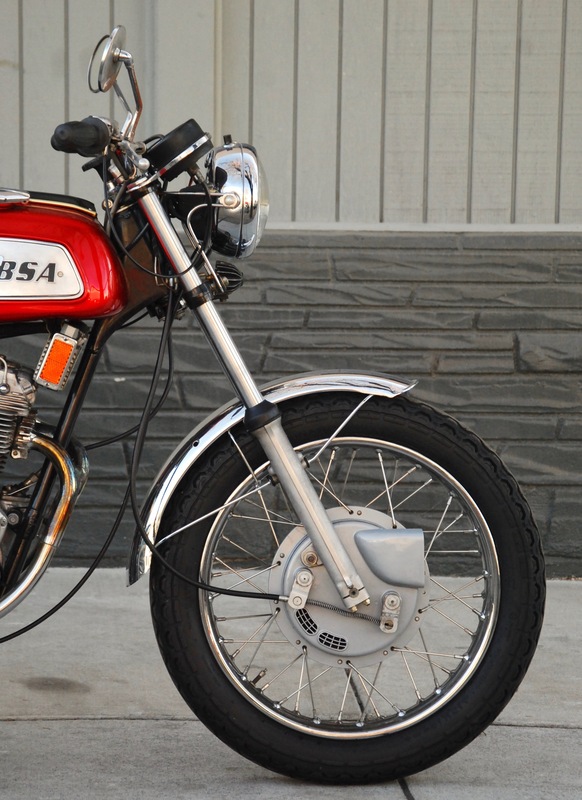 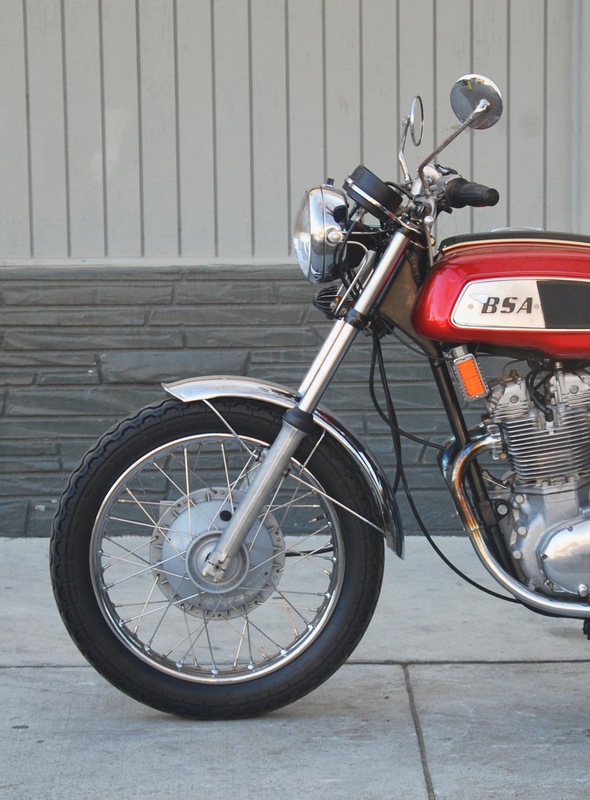 The R3 offered here hails from a BSA aficionado and collector of some significant machines. 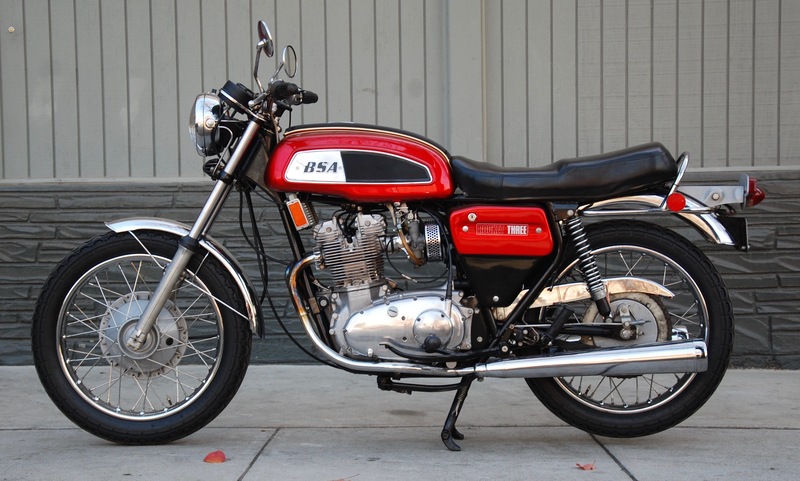 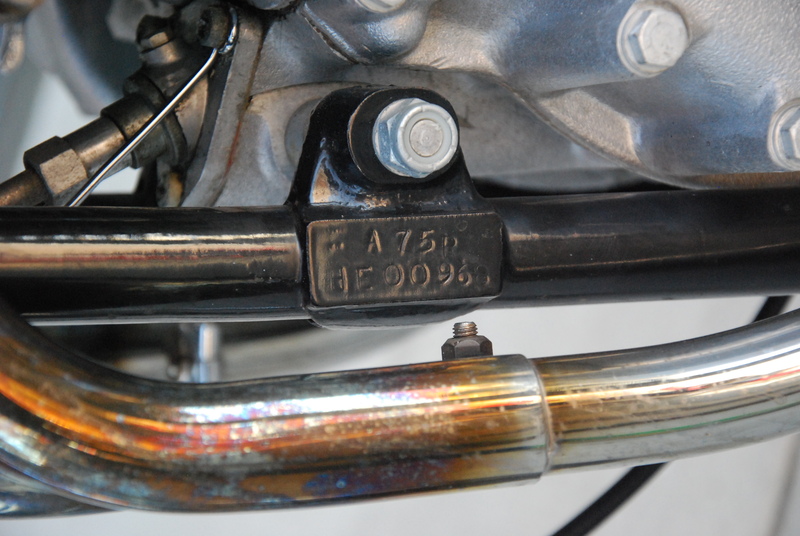 Built in July of 1971, with BSAOC Dating Certificate, the late 1971 model year bike is offered in excllent mechanical condition, while the cosmetics have been treated to a comprehensive restoration about 12 years ago. 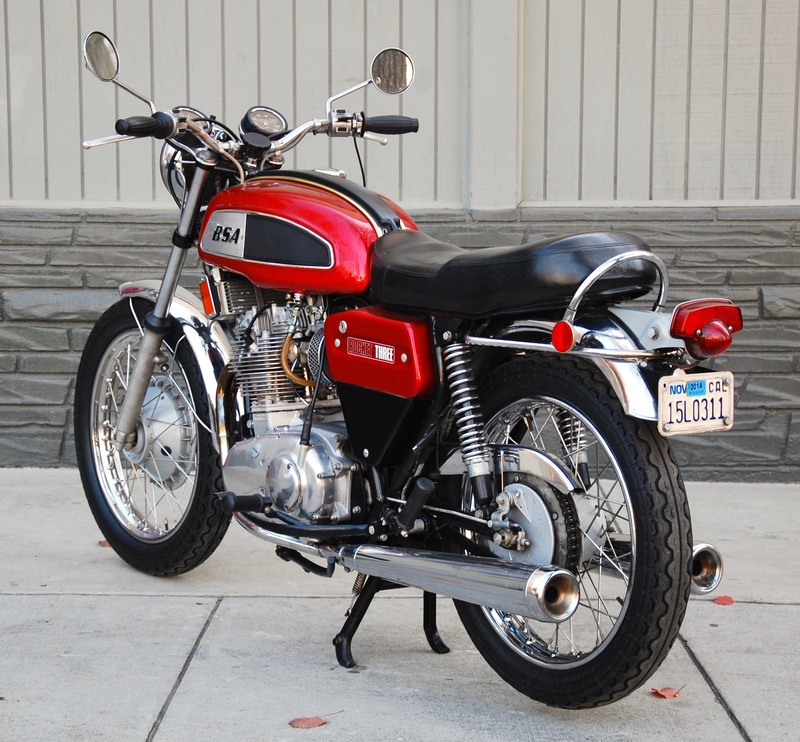 Built to ride, it features a 5-speed gearbox conversion. 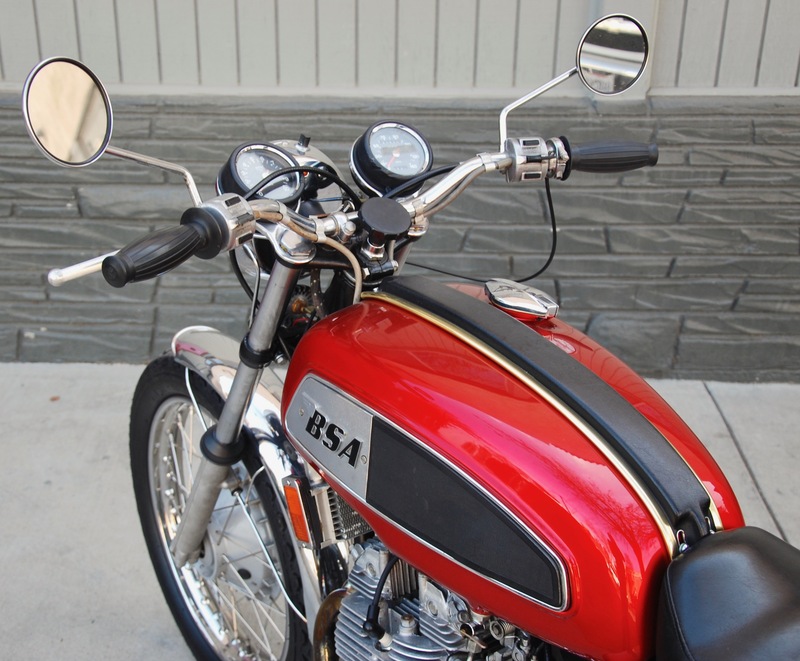 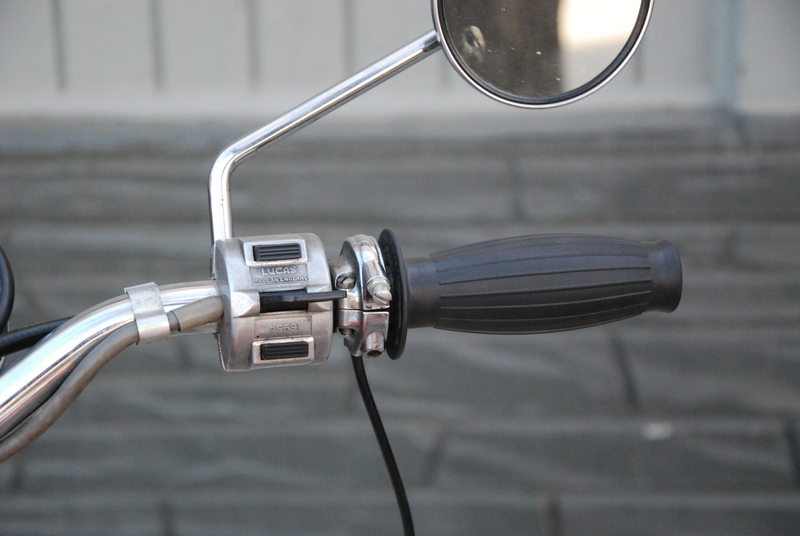 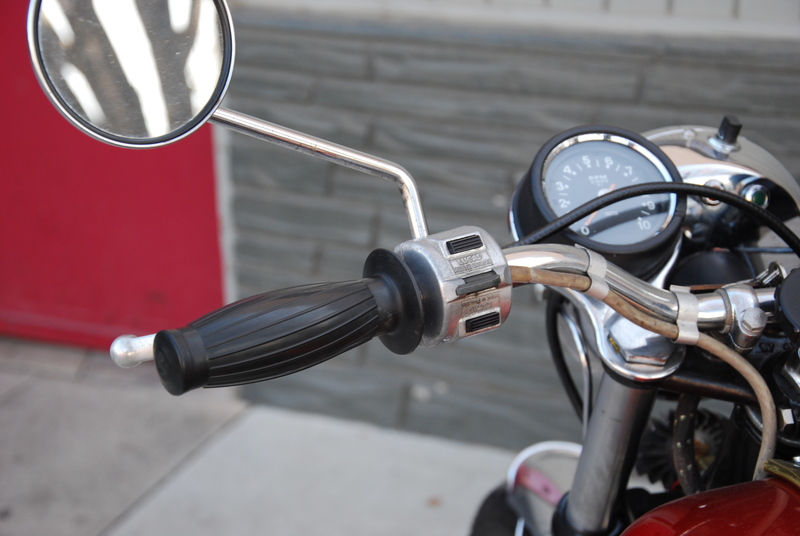 The bike starts with ease and runs very well and handles and stops with equal aplomb. 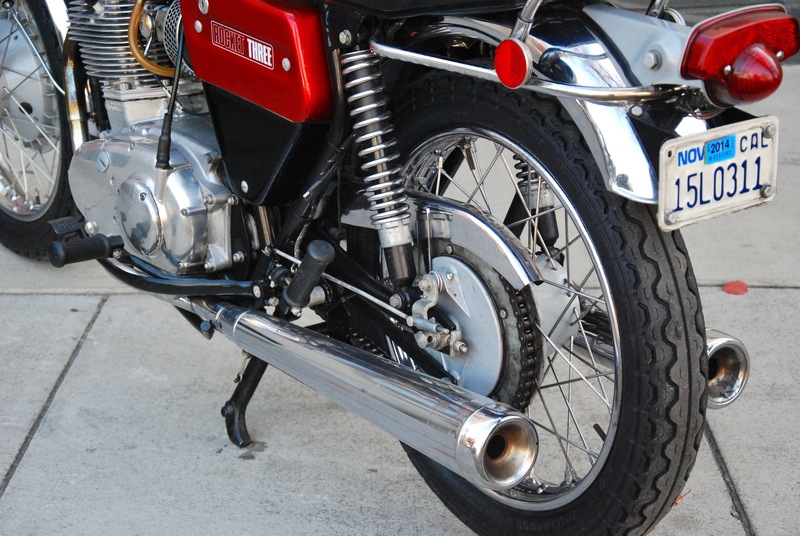 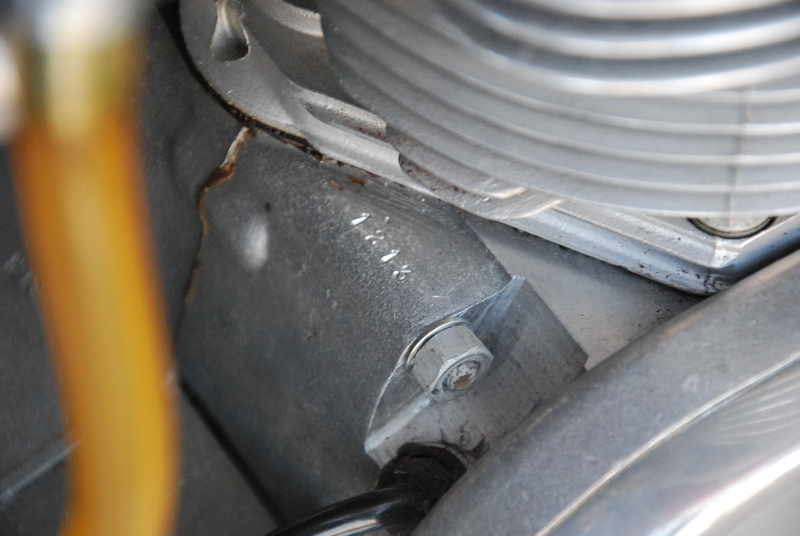 Cosmetically, the bike presents well with minimal blemishes to the paint on the early spec gas tank and cycle part finishes. 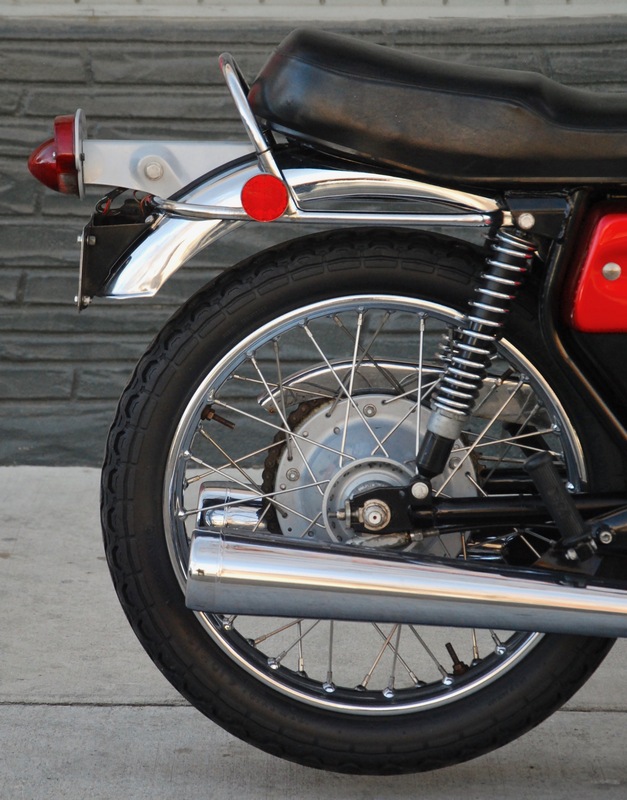 Brightwork is shiny and deep on the later mudguards and headlight. 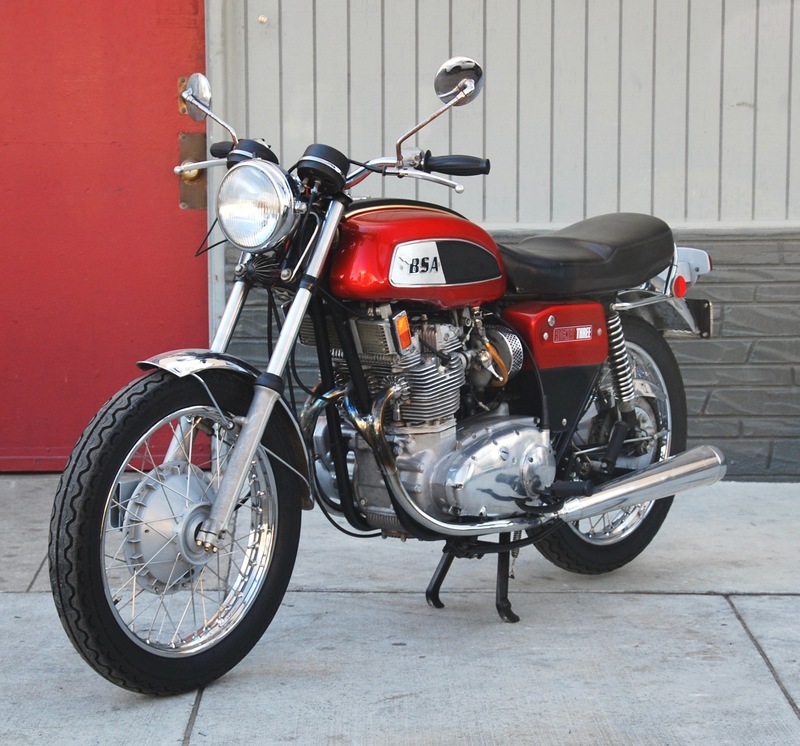 Recently “gone through” the bike is a great opportunity for a mile-crunching British triple in excellent mechanical and cosmetic condition. 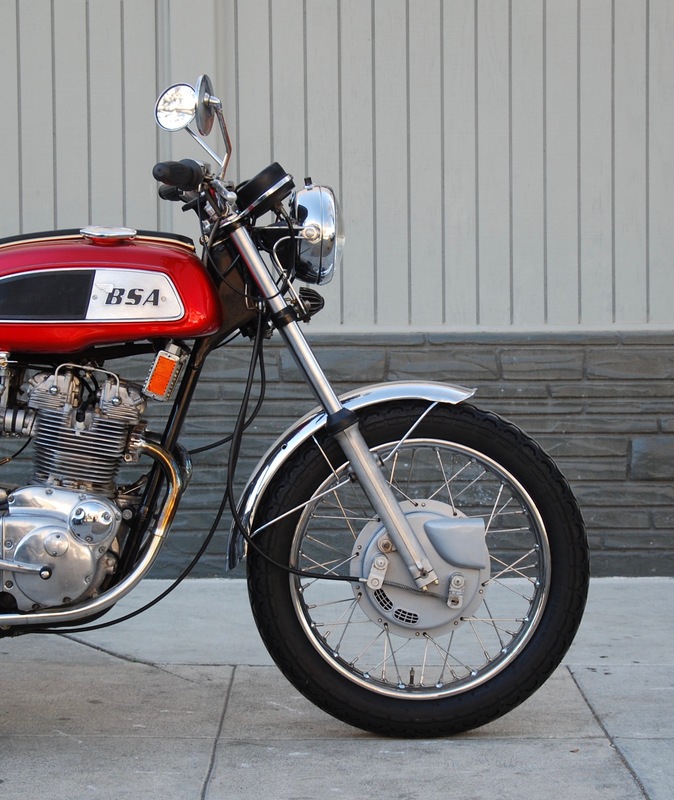 Currently registered in California, it is accompanied by a clean, clear, California title.